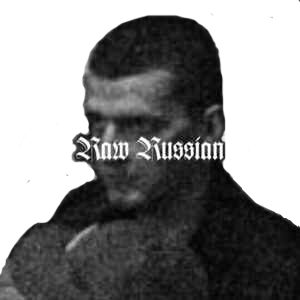 Label RAW RUSSIAN was created in 2016 as a community that would support only russian young producers. The ideology of community is aimed at supporting and promotion of russian musicians all over the world. Earlier label made its first experimental release – it was the tape with only Russian women - musicians and female producers on the board, that release was called - “Russian Girls Like Raw“. 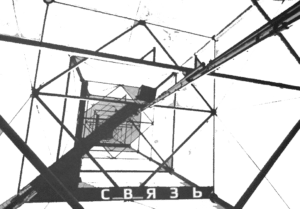 Apart from that, Raw Russian label opened a new vinyl-only label that was named “Illegal Russia” and released a first EP by Nikita Villeneuve and Egor Lipator.
. SAMOPAL . RECORDS . Samopal Records is a self-made label founded by Very Long Cat and Screep. Label releases performs a self-made music of different directions, without any frames by many representatives. The label positions itself as the free from commercial projects interested in music in its essence so that you can’t find any of these records on the store shelves. We wrote about the first release by VOLNA earlier in our reviews. Label VOLNA from Nizhny Novgorod sets a goal to join up people with the original and lush views at music. Perhaps, especial VOLNA sounding originated due to strong influence of surrounding social environment... or on the contrary- against it. The idea of this music label was born a year ago, but now it became clear that time to realize this idea has finally come. In cause of appearing a lot of local musicians and label friends throughout the country VOLNA decided to integrate it all together. 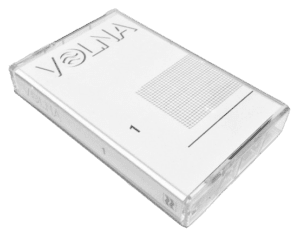 Also by the end of the year VOLNA produced its first limited release VOLNA1 - namely, it was twelve numbered and hand-painted tapes. VOLNA1 represents a collaboration of the the artists from the different places but with similar views on music, those who really appreciate actual raw house sounding. Связь represents the Belarusian music community and a non-profit label publishing music which is made mostly by the local artists. This music label is quite experimental, opened to talented musicians, and when it comes to the genre format, it has no limits in it. The main thing is that the original electronic music is in its priority. Label produces the tape compillations and promotes releases by friendly labels. Jazzve #tunesbymates is a Batumi/Moscow based record music label which performs house music and arranges nice events. Jazzve (with the same emphasis) is a game with the word jazz. After all, jazz is focused on the dark matter and the energy of the sound that burst out, literally exploded in the early twentieth century, giving birth to a new universe of modern music. An attempt to understand this entropy of vibrations and groove, surfing on the crests of this unbridled expansion of sound waves is the main idea of this project.